The last time I took my Honda Accord in for servicing, my keyless entry remote stopped working. But, I didn't realize the problem until about an hour later when I tried to use the remote to unlock my car. Since I was still near Carlsbad, I took my car back to the dealership. I've always had great service at Hoehn Honda in Carlsbad, and this was no exception. 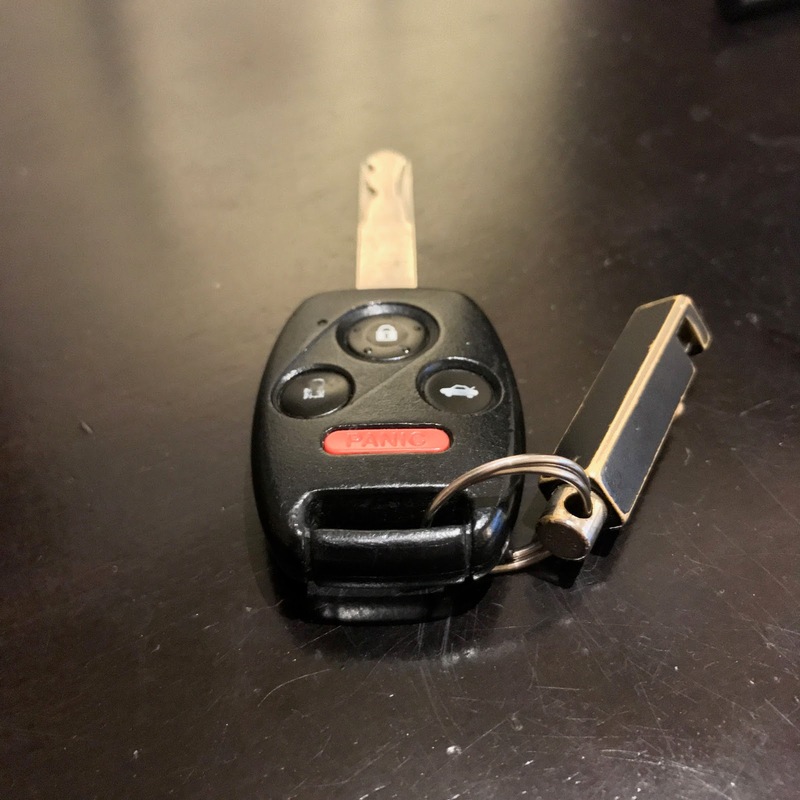 My service rep immediately recognized the issue – he jumped into the driver's seat, fiddled with the key while it was in the ignition and, voilà, my keyless remote fob was working. The reprograming process went so quickly that I didn't catch what the service rep did, but it was clearly a series of steps that took about 15 seconds to complete. When I asked him for the details he said that it wasn't easy to explain. I didn't pursue it since I was happy that the problem was solved quickly. Last month, my Accord's remote stopped working, again. I figured that I'd wait until I brought my car back to Carlsbad for its next servicing since I could simply use the physical key to unlock the doors. But, that changed when I got a hankering after watching this Arby's ad around lunchtime, so I headed to Mission Valley for some roast beef. As I left Arby's, I noticed a Honda dealership next to the freeway. I drove up to the service department and spoke with a rep who did not understand my issue. Finally, I asked if, perhaps, there was someone else around who might have an idea of how to fix the remote? He went into the office where I could see him speaking to a Honda technician for a few minutes. They both came out and asked me if I'd ever had service done at that dealership. No, I told them. But I didn't tell them the obvious, which is that I always go to Carlsbad since dealerships do not share any customer records. The technician told me that I'd need to bring in both keys so they could be reprogrammed, together. After asking them, three times, what the reprogramming process entailed I caught the clue that they weren't going to elaborate beyond the fact that it would take about an hour and cost $95. No, thank you, and I headed home. Once I got home and parked, I pulled up this Honda document on my phone: "Keyless Entry System Owner’s Manual." 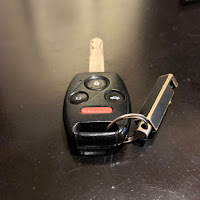 After a few unsuccessful tries, I was able to reprogram my car's keyless entry fob. The process is as simple and quick as what I saw the service rep do in Carlsbad, a few months ago. Basically, I repeated the same three steps of turning the ignition on without starting the car (referred to, in the Honda vernacular, as the "'ON' (ΙΙ) position"), pressing a button on the remote, and then turning off the ignition. Once I repeated this three times, with no more than five seconds between each step, my power door locks cycled and my remote was paired (programmed) to my Accord. All's well and now working as expected.